Check out Day 1 of the Challenge with Tony “La Tigre” Matesi! They’re back (again)! You love them, you hate them, you gotta have them: Burpees! As any Spartan can attest, the burpee is an exercise you practice in hopes of avoiding them on race day. Rather than using them as a penalty, this month we’re using them to make you Spartan Strong! Follow Spartan Leader Tony “La Tigre” Matesi as he explores a month of variations that will get you race ready. Grab some friends, join the movement and complete your 30 days! Check out the rest of this challenge, and other challenges, by exploring our YouTube Channel. Spartan Race is an obstacle course racing series that pushes you physically and mentally. With three distances – 3+ miles, 8+ miles and 12+ miles, Spartan Races challenge every level of athlete with barbed wire crawls, spear throws, rope climbs, and fire jumps. Reconnect with your inner kid while getting into the best shape of your life! Check for races near you! Ok, shameless plug over. 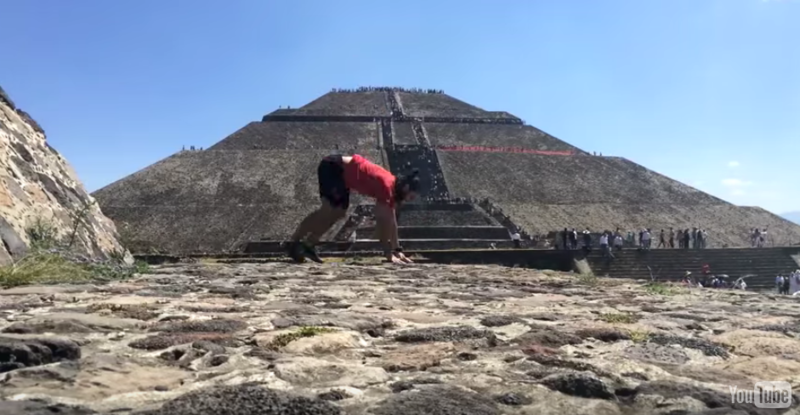 So, how do you complete a classic burpee? 1. Go down into a squat position with your hands on the floor. 2. Push your feet out into a plank position (thank you @Dr. Spider). 3. Do a push-up until your chest hits the ground. Slightly remove your hands to ensure that your chest has fully hit the ground. Push back up to a the plank position. 4. Jump your feet back in and stand up. 5. Jump straight up, reaching your hands in the air and do it all over again! What counts as 1 burpee? For the purposes of this challenge, a single burpee is one complete run through of the steps listed above. Ideally, you’ll start to improve the number you can complete as the month progresses. Can I do more than the challenge asks for? Yes! As the challenge progresses you may find that 30 burpees becomes too easy. Increase the number of burpees to your breaking point. Do multiple sets, focusing on form over duration. What If I can’t do a burpee? Then this challenge is PERFECT for you. Spartan Race is about personal progression, and so is the #Spartan30. Coach Casey will walk you through a progression of exercises that will you get to the point of burpeeing! Yes! Having a partner can help motivate you to stick with the challenge. Share our link with your family and friends! What do I win if I do this? This is not a contest, although the reward is something that we could not give you anyway – a healthier, fitter you. How else can I train? Check out the Spartan Race WOD (workout of the day).